03/27/2018 Washington D.C. (International Christian Concern) – International Christian Concern (ICC) has learned that on March 26, the Supreme Court in Indonesia announced its decision to reject former Jakarta governor Basuki “Ahok” Tjahaja Purnama’s case review petition against his blasphemy conviction. Ahok was sentenced to two years in prison last year for a statement he made during a speech to residents of the Thousand Islands Regency, during which he said that his opponents were trying to use the Quran to convince people not to vote for him. He is currently incarcerated at the National Police Mobile Brigade Detention Center in Depok, West Java. A Christian of Chinese descent, he was convicted of blasphemy despite the prosecutor’s recommendation that the blasphemy charges be dropped. More than nine months after his conviction, Ahok officially challenged his conviction through a case review petition to the court. Ahok’s lawyer and sister, Fifi Lety Indra, told Indonesian reporters in February that the basis of the appeal was the conviction last November of Buni Yani, a man found guilty of tampering with the video in which Ahok appeared. 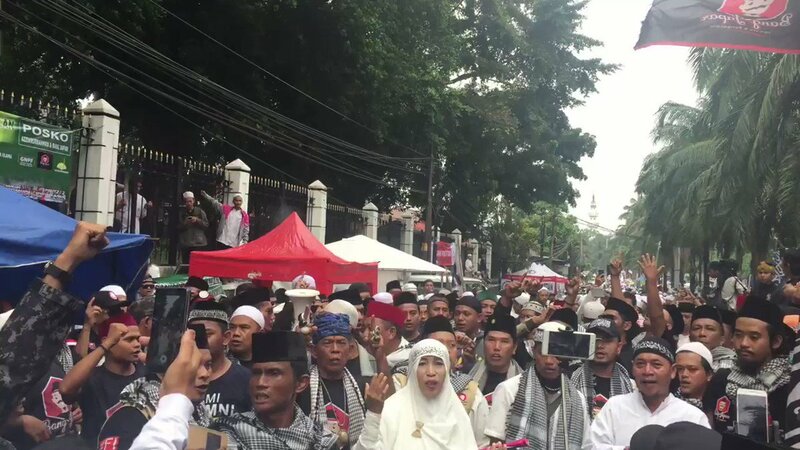 The video caused widespread unrest in the Muslim-majority nation and a turning of public opinion against Ahok who, at that time, was running for re-election. Despite his attempt to clarify rumors associated with the video at the time, Ahok could not redeem himself from the blasphemy accusation. According to Tempo.Co, “The judges rejected Ahok’s judicial review request. The verdict will be rendered today,” Supreme Court spokesperson Abdullah told the media. No reason was given for the decision. Jakarta Post also reports that Josefina Agatha Syukur, another lawyer representing Ahok, said that the team has yet to receive any official information from the court. They can’t make a statement just yet as they must first gather information and determine their next steps as a team. Former Jakarta governor Basuki Tjahaja Purnama, also known as ‘Ahok’, has officially challenged his conviction through a case review petition to the Supreme Court. Pray for a successful review and appeal and that Ahok, a Christian, will be exonerated and released from prison. Pray too for his safety and that he may continue to be a witness for Christ in Indonesia’s political arena, faithfully serving all the people of Indonesia. Click the image (above) to download Ahok’s Prisoner Profile. I believe he helped avert more violence and even civil war by agreeing to go to jail! Jakarta’s Christian governor, Basuki Tjahaja Purnama, was sentenced recently to two years in prison after being convicted of blasphemy against Islam. 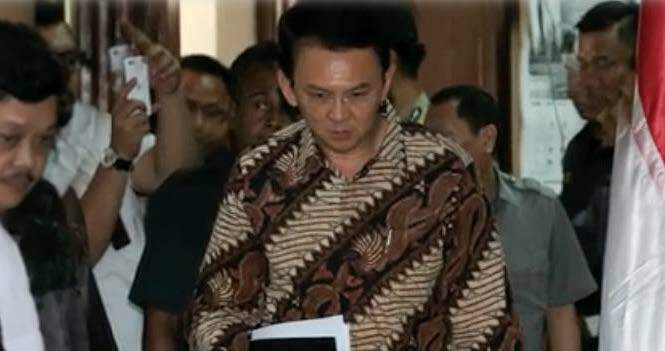 A week before his sentencing, Basuki lost an election in which the blasphemy case, involving his criticism of a verse from the Quran, and his Christian faith were raised as major issues. Basuki has already started serving his sentence, which is harsher than the sentence requested by prosecutors. Pray that Basuki will remain strong in faith and that he will use his notoriety to proclaim the gospel. Pray that those who accused and sentenced him will feel remorse for their actions and that his sentence will be reduced or nullified. 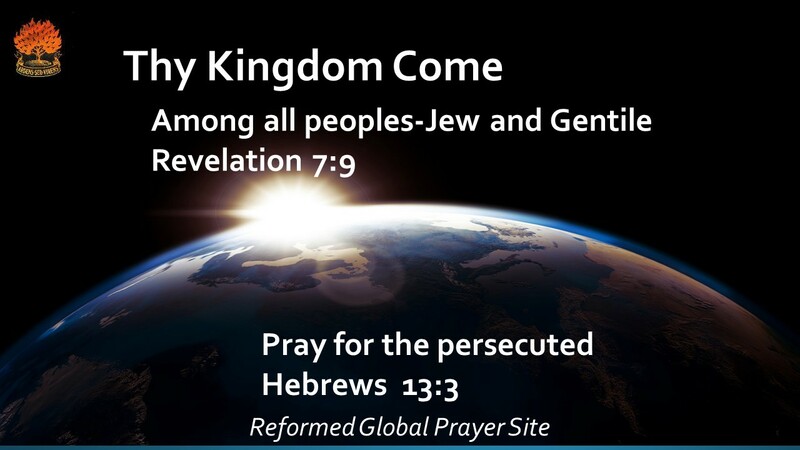 Also pray that Indonesia’s blasphemy laws will be reviewed and reformed. An Indonesian court has found Jakarta’s Christian governor guilty of blasphemy and sentenced him to two years in prison, in a trial that was widely seen as a test of religious tolerance and pluralism in the world’s largest Muslim-majority country. Basuki Tjahaja Purnama, better known by his nickname Ahok, was “found to have legitimately and convincingly conducted a criminal act of blasphemy, and because of that we have imposed two years of imprisonment”, the head judge, Dwiarso Budi Santiarto, told the court. The blasphemy charge related to Ahok’s use of a passage of the Qur’an during campaigning for his re-election in September, which hardline Islamist groups said amounted to insulting the holy book. He insinuated that his opponents had used a Qur’anic verse to trick people into voting against him. An edited version of his speech went viral online, sparking outrage. Ahok, a Christian with ethnic Chinese roots, is a double minority. His trial came after large protests against him in the capital that drew hundreds of thousands on to the streets. On Tuesday, hundreds of members of hardline Islamist groups gathered outside the south Jakarta courtroom amid a heavy security presence, calling for Ahok to be given the maximum penalty. As news of the sentence emerged members of the crowd shouted “God is greatest”. The government has been criticised for not doing enough to protect religious minorities, but President Joko Widodo, an ally of Ahok’s, has urged restraint over the trial and called for all sides to respect the legal process. Thousands of police have been deployed in the capital to prevent clashes between Ahok supporters and opponents. “Both groups will have the opportunity to demonstrate, but we are taking steps to prevent clashes,” said the national police spokesman, Setyo Wasisto. Ahok lost his bid for re-election in an April run-off to a Muslim rival, Anies Baswedan. He will hand over to Baswedan in October. The vote was the most divisive and religiously charged in recent years. Prosecutors had called for a suspended one-year jail sentence for Ahok on charges of hate speech. His opponents believe that is too light. The maximum sentence is five years in prison. Andreas Harsono, an Indonesia researcher at Human Rights Watch, said the verdict was “a sad day for Indonesia”. “Ahok’s is the biggest blasphemy case in the history of Indonesia. He is the governor of Indonesia’s largest city, an ally of the president. If he can be sent to jail, what could happen to others?” he said. Harsono said more than 100 Indonesians have been convicted of blasphemy in the past decade, and acquittals in such cases were extremely rare. Todung Mulya Lubis, a human rights lawyer who also defended the Bali Nine duo Andrew Chan and Myuran Sukumaran, said it was worrying that one judge cited the leader of a hardline Islamic group known as the Islamic Defender’s Front as an expert in the judgment. “The judges also talked about experts from [the Islamic organisation] Majelis Ulama Indonesia. With all respect, I don’t think they can be considered as experts because they had taken sides already, long before the trial.